Blessed with a devotion to dub and roots culture and politicised by the inequalities that haunt a world of plenty, Red Star Martyrs have arrived as the latest incarnation of musician and producer Stanley Wood. As a member of cult Birmingham reggae outfit Route 81, Stanley learnt his trade as a guitarist and gigging musician before becoming part of guerrilla graffiti specialists and urban raconteurs Echo Base. Here he encountered for the first time the mystical world of the recording studio and within it, the wonders of the Roland Space Echo – a love affair was born. The romance bloomed with the arrival of affordable technology, enabling those that dared to dream the chance to create their own Channel One studio. The logical outcome for Stanley was Shotgun Rockers. From producing original dubs for the Dub Nation sound system, Shotgun Rockers became recording artists for Zip Dog, Nubian and Tanty records at the moment when a new breed of dub was being formed, introducing the energy of European dance music to inspiration from the legends of the Jamaican dub. 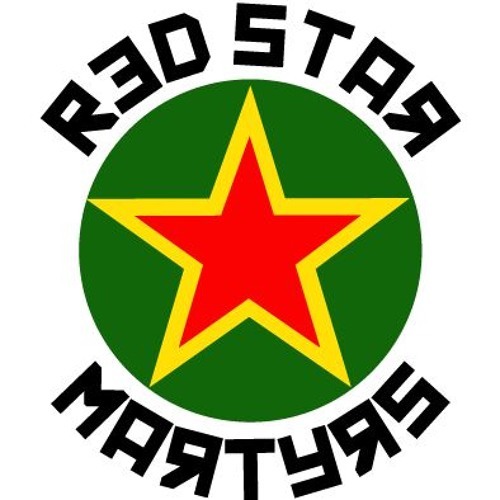 Fast forward to the now and Red Star Martyrs exist as an open collective where roots and dub artists from all over the world are invited to contribute and collaborate, bringing a message of love, unity and political consciousness. Oh yeah, and to have fun too, because roots dub music is what makes us all smile, right?